Chiropractic care is able to help with a variety of symptoms and conditions, as its ultimate goal is to encourage a healthy nervous system. Because the nervous system controls and coordinates each function within the body, when there is something wrong with the body, we can assume that nerve supply to that area has been obstructed. By restoring nerve supply to that area, the body is able to regenerate almost anything as long as it has not been removed. While all adjusting methods are generally more effective than medical care for problems with the spine, Dr. Pollack’s specialty in the Gonstead technique allows him to care for patients in a more personalized way that heeds greater results. In a league of its own, the Gonstead method is insurmountably specific in evaluation and correction. Not only does it provide guidance to the location of the issue, but it helps us determine precisely which of nine positions each vertebra is in as well as which of 36 positions the pelvis and low back are in. Pollack Clinic of Chiropractic is proud to offer tailored manipulation rather than general manipulation of the entire spine. We firmly believe in correcting the bone only in the way that it NEEDS to be corrected, and with Gonstead – Dr. Pollack does just that. Are you new to chiropractic and nervous about your first adjustment? Dr. Pollack understands your hesitation and guarantees detailed explanation throughout your visits. With Pollack Clinic of Chiropractic, there are no surprises. 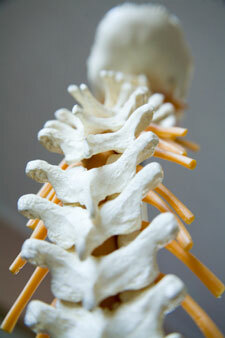 We want your chiropractic experience to be as comfortable and effective as possible. Contact our office for your free consultation. We might be able to offer you a drug-free solution to your pain.